There’s a phenomenon that happens when pop-culture collides with history. Characters of our past take on the persona of the performer who played them on screen. A great example is Vil Kilmer‘s Doc Holiday in the movie Tombstone. I’ve seen pictures of the 19th century Doc Holiday so I know what the guy is supposed to look at. But when I hear Doc Holiday, I see Vil Kilmer. I’m confident Moses looked nothing like Charlton Heston, but there you are. If you think about it, even the cartoon Moses in the animated feature, The Prince of Egypt, favored Heston. (Coincidently the voice of Moses was Vil Kilmer.) Ben Kingsley played Moses in the 1995 TV movie of the same name, but it is the Heston portrayal that will stand the test of time. There are many more but I can tell you when I think of any one of these people I usually see the actor who portrayed them. One of the best is whenever I think of Julia Child, I can only see Dan Aykroyd doing Julia “I seem to have cut myself” Child. And when I think of Richard Nixon, I don’t see Anthony Hopkins, I see Dan Aykroyd doing Richard “I am not a crook” Nixon. And when I think of Sgt. Joe Friday, I don’t think of Jack Webb, I can only see Dan Aykroyd as Sgt. Joe Friday. Come to think of it, Dan Aykroyd sort of reminds me of Beldar Conehead. It’s a small universe when you look at it like that. This entry was posted in Celebrities, Movies, Slider and tagged Biopics, Movie Characters, postaday2012 on April 11, 2012 by Mickey Mills. It’s that time again — The Oscars. In an odd quirk of the calendar I have a double dose of guilty pleasure this Sunday — The Daytona 500 in the afternoon and The Oscars at night, horsepower and starpower, Red Bull and Red Carpet. Does life get any better? Only if Mark Martin wins the 500 and someone streaks the Oscars. This entry was posted in Celebrities, Friday Films, Movies, Slider and tagged Friday Films, Movies, postaday2012, The Oscars on February 24, 2012 by Mickey Mills. On the eve of music’s biggest stage, the 54th Grammy Awards, emergency medical personnel were called to Whitney Houston‘s fourth floor hotel room at approximately 3:40 pm. The team was unsuccessful with resuscitation and at 3:55 Pacific time, the legendary performer was pronounced dead. Houston was an American singer, actress, producer, and model, cited as the most-awarded female act of all time. Her resume includes two Emmies, six Grammies, 30 Billboard Music Awards, 22 American Music Awards, among a total of 415 career awards as of 2010. Houston is one of the world’s best-selling music artists of all time, having sold over 170 million albums, singles and videos worldwide. Inspired by prominent soul singers in her family, including her mother Cissy Houston, cousins Dionne Warwick and Dee Dee Warwick, and godmother Aretha Franklin, Houston began singing with New Jersey church’s junior gospel choir at age 11. Ken Erhlich, executive producer of the 54th Grammy Awards announced that Jennifer Hudson and Chaka Khan would perform a tribute to Houston at the February 12 awards. This entry was posted in Celebrities, Music, Slider and tagged Celebrity Death, Music, postaday2012, Whitney Houston on February 12, 2012 by Mickey Mills. LOS ANGELES — It is being reported that around 4:00 this morning LA Police were called to the Sherman Oaks home of Soul Train creator, Don Cornelius where they found Cornelius near death from a gunshot. He was pronounced dead of a self-inflicted gunshot wound at 4:56 a.m. at Cedars-Sinai Medical Center. Unofficial sources within LAPD are calling his death a suicide by an apparent self-inflicted gunshot wound. Cornelius was the creative force behind the long running syndicated series, Soul Train. He was the host and producer from the launch on August 17, 1970 to stepping away from his hosting duties in 1993. He continued to be a moving force behind the show until 2006 when the show ended its long run and remains the longest running syndicated program in television history. Wheel of Fortune would have to run through the 2017 season. Soul Train aired 1,117 episodes across the years. This entry was posted in Celebrities, Music, Slider and tagged Don Corneius, postaday2012 on February 1, 2012 by Mickey Mills. Last Thursday kicked off this year’s Sundance Film Festival in the playground of the rich and famous – Park City, Utah. I think they misplaced my invitation. Did you get yours? To listen to founder Robert Redford, his vision has always been for an event catering to the 99% crowd. I don’t know too many ninety-nine percenters with condos in Sundance. Don’t get me wrong. I like Redford. He’s always been a favorite of mine. I just don’t believe the rich and famous can truly see the issues facing the 99% he is talking about. I don’t think it’s possible to see through Hollywood eyes and have an emotional comprehension of a single mother in America flipping burgers at McDonalds to make ends meet. You can’t truly appreciate middle class poverty until you’ve scrapped for every penny in the house just to buy groceries – beanie weenies and milk. If you look at the Sundance Sponsor list it reads like a who’s who of the 1% — Starbucks, Accura, Chase-Sapphire, Bing and GE, to name a few. Now there’s a list of companies with our well-being at the center of their mission statement. Oh and then there’s the celebrities who line up at corporate tents to get their swag from said corporate sponsors. Anyone of them could walk into any Apple store and buy 1,000 iPads to give to local schools, but there they are in line to get a free one. And in a twist of irony, contrary to Redford’s vision, a group calling themselves ‘Occupy Sundance’ are camped out in Park City. They point out that of 11,700 films submitted this year, only 180 were accepted — roughly 1 percent. The Occupy Sundance organizers recognize that that volume of films could not make festival screening at Sundance. They are there to represent the 99% that didn’t make the cut. “Robert Redford may think Sundance reflects ‘the 99 percent,’ but while his heart is in the right place, I’m not sure he can even begin to fathom how hard it is for an average person to gain access to his elite world,” said Los Angeles-based pop culture and entertainment expert Jenn Hoffman. “It’s true that independent filmmakers still have a chance at securing funding through the festival, but even the so-called indie studios still are looking for ‘names’ to star in even the smallest films and are scouting for new movies they think will bring them the largest financial gain. “The price of a plane ticket to Utah is more expensive than what most aspiring filmmakers can afford in this economy,” she added. “Let alone all cost of all the marketing, networking dinners and social climbing events it can take to get a movie made. This entry was posted in Celebrities, Entertainment, Movies, Slider and tagged 99 percent, Occupy Sundance, postaday2012, Robert Redford, Sundance Film Festival on January 24, 2012 by Mickey Mills. Ninety years old and the heart of a teen! Betty Marion White Ludden (born January 17, 1922) is an American actress, comedienne, author, and television personality. With a career spanning over seven decades, she is best known to modern audiences for her television roles as Sue Ann Nivens on The Mary Tyler Moore Show and Rose Nylund on The Golden Girls. She currently stars as Elka Ostrovsky in the TV Land sitcom Hot in Cleveland. White has won seven Emmy Awards (six for acting) and has received 20 Emmy nominations over the course of her career, including being the first woman ever to receive an Emmy for game show hosting (for the short-lived Just Men!) and is the only person to have an Emmy in all female performing comedic categories. In May 2010, White became the oldest person to guest-host Saturday Night Live, for which she also received a Primetime Emmy Award. White also holds the record for longest span between Emmy nominations for performances – her first was in 1951 and her most recent was in 2011, a span of 60 years – and has become the oldest nominee as of 2012, aged 90. She has made regular appearances on the game shows Password and Match Game and played recurring roles on Mama’s Family, Boston Legal, The Bold and the Beautiful, and Community. This entry was posted in Celebrities, Slider on January 17, 2012 by Mickey Mills. 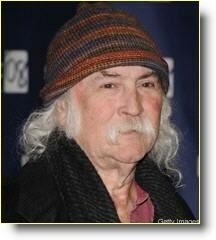 November 20, 1994, rock singer/songwriter David Crosby went under the knife for a seven-hour surgery at L.A.’s UCLA Medical Center. The procedure? Replace his failing liver. Now I’m all for the business of saving lives. Heal the sick and feed the hungry should be the mantra for us all. Getting a liver in 1994 was much like getting a liver today. You have to meet certain standards. You have to be clean and sober for awhile. And you can’t have a cancerous liver. Supposedly, Crosby met all the standards and got his liver. The question many people asked at the time was how did the rock star/ex-con go from a new name on the list to a transplant recipient virtually overnight? I think the answer is simple. Celebrity status and a “For-Profit” health care system. That was true then and apparently the status quo still applies. Your status and pocketbook can (and does) improve your slot on the list. Steve Jobs was 48 years-old when he was diagnosed with a rare pancreatic cancer in 2003. According to data from the United Network for Organ Sharing, the agency responsible for distributing donated organs to those on waiting lists around the nation, there were roughly 16,000 people on the national liver waiting list when Jobs got his transplant. He was one of 1,581 people who got livers in the United States in the first quarter of 2009. Almost none of those people had any form of cancer. In fact, if Jobs’ tumor spread from his pancreas into his liver, as is likely, most transplant surgeons say that they would not recommend a liver transplant because there is no data that shows a transplant will stop or even slow the spread of the cancer. So the question is: Was this the best use of a liver? I know a guy that will likely be dead soon. He’s been told by doctors he has to be clean and sober for a year before they will add his name to the transplant list. Twelve months added to the time before his transplant number would even start inching it’s way up the stack of names hoping to live long enough to make their way to the top. It’s a crap shoot at best. This friend is basically unemployable and hardly a candidate for a big donation to a hospital charity. It’s a raw deal but it’s the hand he’s been dealt. It’s a symptom of the class inequity in health care. The World Health Care organization ranks the U.S. 37th on the system ranking list, hardly world-class. From the middle class on down people are struggling and dying every day for one reason only. They can’t afford health care. In a country where health care system should be second to none, access is limited to those who can afford it. If your name isn’t Jobs, Crosby, or Mickey Mantle, pray that you don’t need a transplant someday. Mantle may well be the worst case of blatant celebrity transplant list abuse of all time. The former Yankee was on the list for all of one day. Dispute receiving a healthy liver, Mickey Mantle died two months later of liver cancer anyway. This entry was posted in Celebrities and tagged David Crosby, Liver Transplant, Mickey Mantel, postaday2011, Steve Jobs on November 20, 2011 by Mickey Mills. From a film career that began early in the 1940s to fame, fortune, misfortune, and finally death of congestive heart failure. She was many things to many people, but to sum it all up, she was nothing short of a national treasure. She lived her life under the microscope of celebrity from an early age and through the years took on the role of Hollywood icon with a certain flair that only Liz could give. 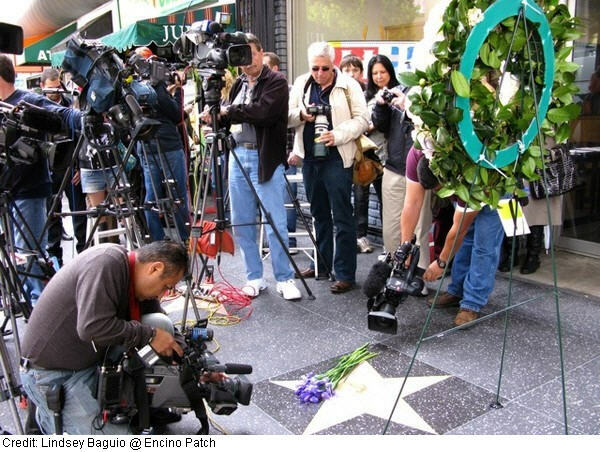 The outpouring of love and admiration came from celebrity friends and admirers are a testament to her longevity in Hollywood. “We have just lost a Hollywood giant. More importantly, we have lost an incredible human being.” – Elton John, in a statement. “The world has lost a truly iconic beauty, inside and out.Elizabeth Taylor will be deeply missed.” – Victoria Beckham, on Twitter. “I am so saddened about the passing of Elizabeth Taylor! She will always be my idol!” – Kim Kardashian, on Twitter. “The shock of Elizabeth was not only her beauty. It was her generosity. Her giant laugh. Her vitality, whether tackling a complex scene on film or where we would all have dinner until dawn. She is singular and indelible on film and in our hearts.” – “Who’s Afraid of Virginia Woolf?” director Mike Nichols, in a statement. “I knew elizabeth Taylor and I can tell you she was kind, brave, generous and loyal. I am sad.” – Jane Fonda, on Twitter. “White Diamonds was the first fancy thing I owned in my life. Elizabeth Taylor is the first person so glamorous you wanted to smell like her.” – Mindy Kaling (“The Office”), on Twitter. “She was always,always there for me.I’ll miss her for the rest of my life,but I was so lucky to have known her.” – Liza Minnelli, to E! Online. “God bless Elizabeth Taylor. One of the last true Hollywood legends.. What a lady, what a life..” – Mario Lopez, on Twitter. “I met Elizabeth Taylor several times. She was witty and self-deprecating, which I found surprising and delightful. She loved to laugh.” – Steve Martin, on Twitter. “So sad to hear about Elizabeth Taylor..it’s the end of an era for sure…” – Lea Michele, on Twitter. “She was an illuminator. She put human faces on issues…the world is becoming as she envisioned it: freer” – Sharon Stone, to E! Online. “RIP elizabeth taylor, a great actress and a great beauty, who’s formidable contributions to both film and charity will always be remembered.” – Zooey Deschanel, on Twitter. “Elizabeth Taylor was a great friend, a great star and one gutsy woman. She was so special. You won’t see the likes of her again…” – Larry King, on Twitter. “Elizabeth…thank u for the lessons u taught me about life..suffering and Joy….you are the BRIGHTEST STAR in the universe..Eternal love” – Kirstie Alley, on Twitter. “such a sad when a legend like Elizabeth Taylor pass away.fitting that it’s gloomy&rainy in ny.A place of sadness” – Bethenny Frankel, on Twitter. “So VERY shocked and saddened to hear of the passing of Dame Elizabeth Taylor. A true Hollywood legend and humanitarian and friend. RIP” – Marlee Matlin, on Twitter. “Every year Elizabeth Taylor sent my dad a telegram (yes, telegram) for his birthday. It said: ‘Remember, I’m younger than you!’ (by 1 day)” – Rosanne Cash, on Twitter. Shine on you crazy white diamond. Rest in peace. This entry was posted in Celebrities and tagged Elizabeth Taylor, Entertainment, Film Star, Hollywood Icon, postaday2011 on March 24, 2011 by Mickey Mills. 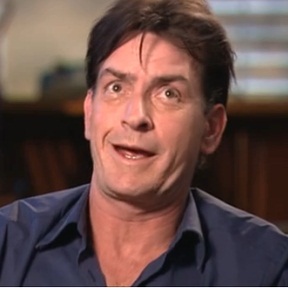 The Charlie Sheen story is like the gift that keeps on giving. Just when you thought he slithered away never to be heard from again, at least until the court date for his $100 million dollar lawsuit against Warner Brothers, there he is — front page news. According to sources within CBS the prez is determined to get Sheen back in the studio and get the cash registers of Two and a Half Men ringing again. He thinks Sheen and Half-Men Producer, Chuck Lorre, can let bygones be bygones and find a way to work together again. (This is the same guy Sheen used words like Troll, Loser, Clown, and a few much worse than that, to describe.) If these guys can find a way to work together again, that would be like Hitler and Churchhill taking in a Cubs game. CBS may have been paying Sheen 1.8 million an episode, but the unknown is how much in ad revenue and future syndication goldmines did the show represent. I’m sure the absence of Charlie and Co. from the CBS lineup is very costly. I can’t wait to see what this guy does next. This entry was posted in Celebrities and tagged Celebrities, Charlie Sheen, My Violent Torpedo, postaday2011 on March 21, 2011 by Mickey Mills.